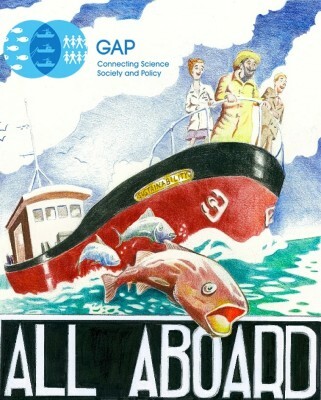 This year, GAP2 has funded an exciting new programme of international exchanges, designed to help fishermen, scientists and management officials swap ideas, share experiences, and build best practice in developing sustainable fisheries. The GAP2 Adriatic Sea case study has been ongoing in developing participatory research and action management of fisheries within the Adriatic Sea. Its focus is on building and mobilizing knowledge across various stakeholders and scientists within the region. Previous discussions have generated interest between Italian and Dutch fishermen and stakeholders to learn from each other and exchange their visions and issues in relation to fishery management. Italian GAP2 stakeholders expressed their interest in the local management of Dutch fisheries and fish market organization, and therefore it was decided that in-the-field discussions would prove beneficial in the development of fishery management in the northern Adriatic Sea. Furthermore the opportunity would allow for an exchange between different Italian GAP2 stakeholders reinforcing their collaboration and stimulating participatory action. The objectives of this exchange are to share experiences on issues relating to the management and governing of fisheries from a multi-disciplinary focus with regards to technology, environmental impact mitigation, trade organization and product labeling. Furthermore fishing management rules (particularly concerning issues surrounding quotas and discards) and the roles of participatory science and stakeholder knowledge in fishery governance are to be looked into. Coastal wetlands are extremely valuable habitats, which act as ecological functions for birds, invertebrates and many fish species. In Europe, particularly within the Baltic Sea, many of these areas are under pressure and have undergone significant changes, such as eutrophication and disturbance of local fish stock habitats. Swedish northern Pike both helps to regulate eutrophication and thrives in the marshy coastal wetlands, but being a popular angler species is suffering from overfishing, nursery area exploitation and recruitment disorders. Because of this, action has been taken to improve the status of the species, with the creation of spawning marshes and size-regulated catches. However more effective management methods, restoration action, follow-ups and knowledge of sustainable tourism is required. The GAP2 exchange project to the Laurentian Great Lakes area aims to learn best practice on how coastal wetlands can be restored, managed and governed through collaborative efforts between various stakeholders. Long-term goals of the project include increasing stocks, creating a market of sustainable tourism, and understanding the pike’s economic value. The exchange project will also build knowledge in how to implement management strategy evaluation (MSE), which allows for the incorporation of interests and economic values of recreational fisheries and relevant governing bodies. The Laurentian Great Lakes area is ideal for such an exchange to take place due to the long-term fishing management and wetland restoration projects taking place in the region. Furthermore fisheries in the area use techniques not only to balance various stakeholder interests but also to maximize the economic benefits of sustainable fishing of fish stocks. There is rising concern in relation to the effects of using gillnets as a fishing method in relation to non-target species bycatch, particularly by-catch of seabirds. Such an environmental cost is under going scrutiny as fisheries aspire to an ecosystem-based approach. Studies suggest that diving birds (such as penguins, auks and loons) and seabird populations in temperate and sub-polar regions are particularly affected by this fishing method, yet this issue is present – and under-researched – globally. The development of technical mitigation measures has thus far been limited, and there are few known solutions to this conservation problem. In a few areas ideas for and testing of such mitigation efforts has been developed by fishermen, such as the higher visibility nets of salmon and sea trout netsmen in Filey Bay, Yorkshire, which have reduced the bycatch of guillemots and razorbill populations. Another example can be found in Puget Sound, USA where sockeye salmon fishermen use specifically modified ‘bird nets’. The purpose of this GAP2 exchange project is to link together fishermen (who are adapting and developing solutions) and BirdLife International, to in turn develop evidence-based solutions to bycatch and have them adopted by high-level fisheries management fora. This project will play a critical role in improving the understanding of this conservation issue, building connections between fishermen, scientists and policy-makers and supporting a global movement to reduce gillnet bycatch of birds globally. One of GAP2’s case-studies is located in the Swedish Lake Vättern and is channeled through a fisheries co-management group which is concerned with selectivity development in whitefish fisheries and mitigating substantial total catch decline (partly due to gillnet-fishery bycatch). The fisheries co-management group operating in Lake Vattern is regulated through an advisory function and has provided an arena for management advice, conflict resolution, general discussions and information exchange between different stakeholders. Generally the majority of other co-management freshwater fisheries are located in tropical regions, with Lake Vattern being the possible sole large freshwater fishery management system in Europe. However, physical similarity can be found with the alpine Lake Constance, with both lakes being deep, oligotrophic (historically eutrophic), having both small catchment areas and similar fish species. Furthermore both have small-scale fisheries targeting similar stocks and using the same gear. Despite this Lake Constance has a profoundly different management system, which is governed through the international commission for the fishing management of Lake Constance (IBKF), which includes local government representatives from Germany, Austria, Lichtenstein and Switzerland. Contrary to Lake Vattern the management style of the IBKF commission has been described as relatively formal with only invited experts and stakeholders taking part in decision making alongside national representatives. The aim of this exchange project is to bring together Lake Vattern’s co-management group alongside the IBKF and leading scientific institute of Lake Constance University of Konstanz to discuss varying management design, stakeholder knowledge and create a participatory atmosphere between various stakeholders. The Lyme Bay world heritage site is home to globally significant flora and fauna as well as an active fishing community. Despite a banning of mobile fishing gear in a 60 square mile zone in 2008, static fishing has increased to unsustainable levels for both the fishery and associated livelihoods. The BLUE foundation has been working with local fishermen to allow for increased self-management, which is both economically and sustainably viable. In addition, the work being carried out in Lyme Bay will make Lyme Bay the first fully documented fishery for the UK inshore fleet, with the integration of a smart-phone app. Due to the nature of this pioneering project, there is little local consultation or shared knowledge available for BLUE to work with. This entry was posted in GAP2 General, GAP2 Newsletter August 2014, Homepage News, News and tagged collaboration, exchange, GAP2, knowledge. Bookmark the permalink.